While the long and curvy chilaca pepper may not be the most recognizable (or findable) chili outside of Mexico, its dried form certainly has a fast growing following. 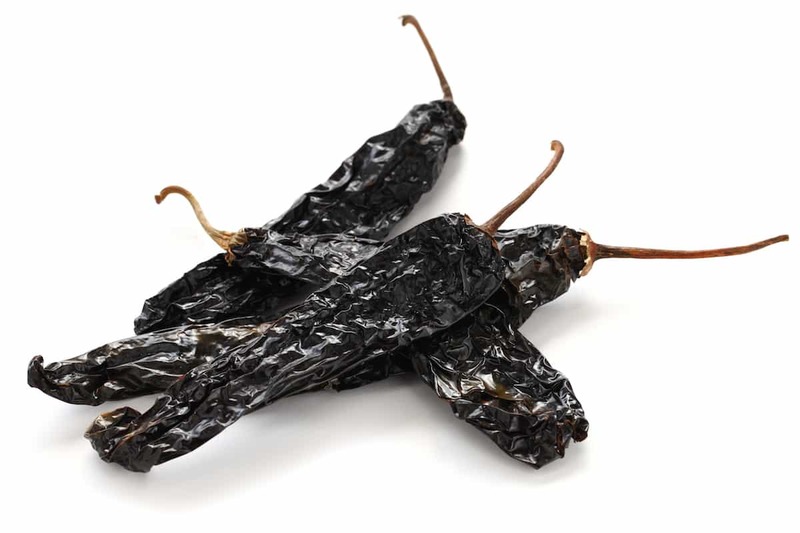 When dried, the fresh chilaca chili becomes the popular pasilla pepper, part of the Holy Trinity of chilies used in traditional Mexican mole sauces. Yet there’s more to the chilaca pepper than being behind the scenes of a pepper scale star. There’s a family-friendly heat and a robust meaty flavor here – rich and slightly floral – that’s delicious in salsas. 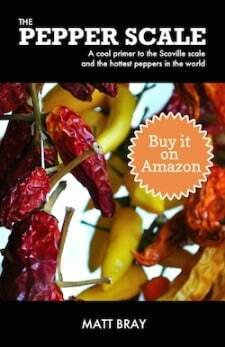 How hot are chilaca peppers? 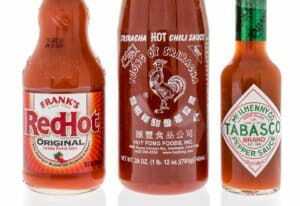 These are not chilies that’ll set your mouth aflame. In fact, it’s a delicious family-friendly sizzle behind these peppers – 1,000 to 2,500 Scoville heat units. That’s on par with the poblano pepper on the low side and up to the heat of the mildest possible jalapeño at its hottest. Pasillas share the same range, but since they are dried when the chilacas are fully matured, they tend towards the top end of the scale. What do chilaca peppers look like? Let’s take a hint from the term “chilaca” itself. It’s comes from an ancient Aztecan term that means “old” or “gray hair”. And there is an “oldness” to the look of these chilies. They are more wrinkled than most peppers in the same heat range, and their long slim bodies (up to 6 to 9 inches) bend and twist like old tree branches. Their aging cycle, too, doesn’t have the same vibrancy as other chilies. Chilacas age from a rich green to a dark greenish brown that borders on black, a far cry from the jewel tone reds other peppers trot out with age. What’s the chilaca flavor? How does it differ from pasilla? For its lanky shape, there’s a surprising meaty richness to these fresh chilies. There’s a touch of floral undertone here, too, that adds a nice complexity to the flavor. It’s easy to see how the chilaca turns into the pasilla – Mexico’s “little raisin”. That floral sweetness translates directly into that sweet raison-y flavor, but then the pasilla layers in smoky and earthy undertones, too, due to their maturity when dried and the drying process itself. 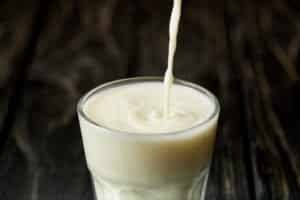 Of course, it’s in its pasilla form where a lot of the culinary magic happens, but the chilaca does have its uses too. If you can find them (and that’s a big if beyond Mexico), they can work in many ways like a much milder serrano pepper with richer flavor. They are delicious eaten fresh and the rich flavor plays very well in salsas. They are also delicious sliced and grilled. Where they don’t excel is as stuffing peppers, as their thin walls and narrow cavity tend towards ripping when stuffed. 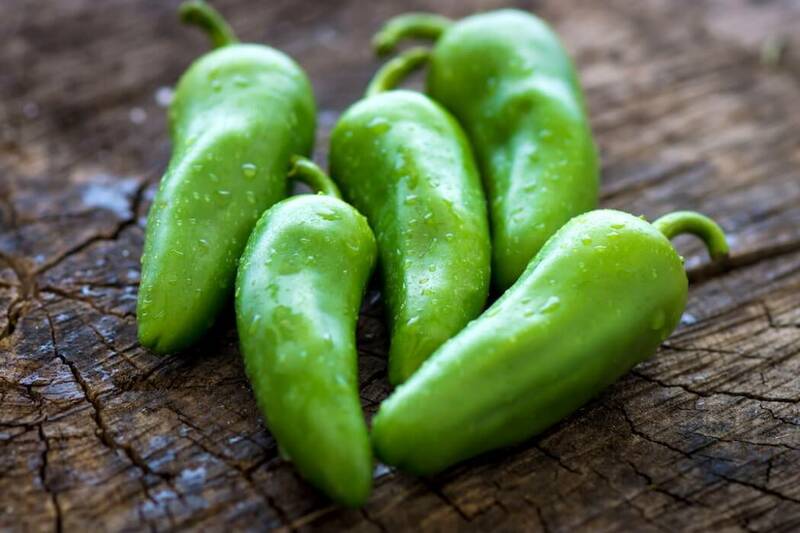 That’s a major difference between the chilaca and wide-bodied poblano pepper that it’s often confused with. 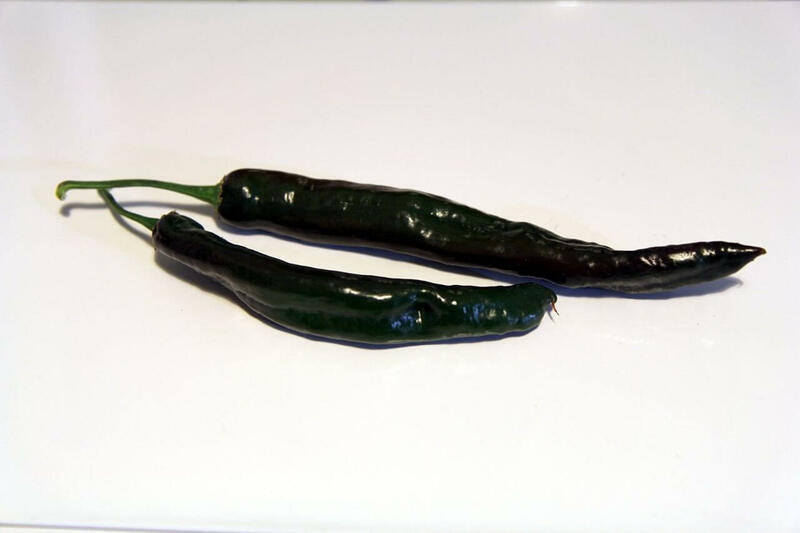 There’s confusion between poblano and chilaca peppers? There is. They are sometimes mislabeled, but not as often as their dried forms (pasilla and ancho) are. These chilies don’t share many similar characteristics – one is slender and curved, the other wide and thick. 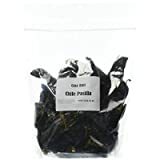 But because both dried chilies are both part of the Holy Trinity of mole chilies (and look more alike in this form) and that the fresh chilaca is not as widely known, confusion often arises. 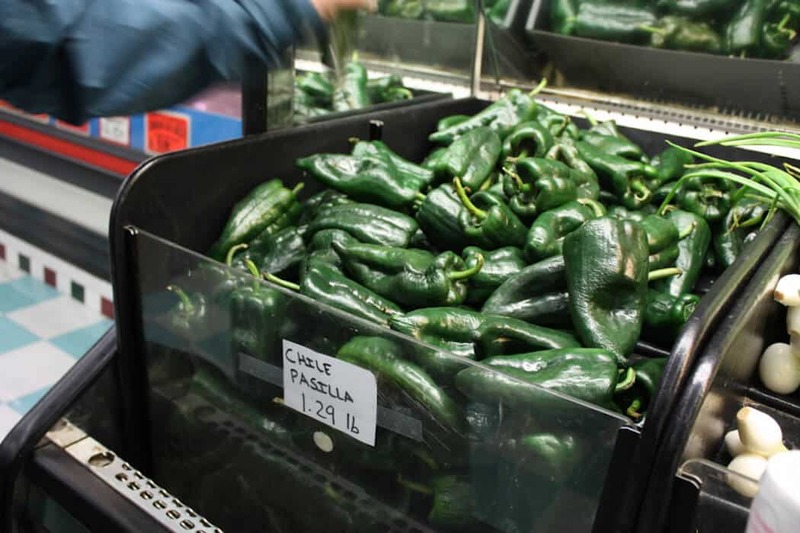 See our PepperScale Showdown, Pasilla vs. Poblano, for more information on the confusion. Where can you buy chilaca peppers? Outside of Mexico, your best bet is local farmer’s markets. Most chilaca peppers are grown for drying into pasillas, so you may have to do some digging to find them fresh. 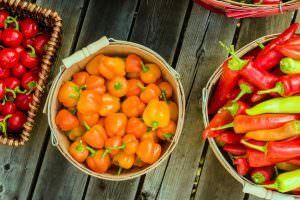 If you’re simply looking for pasilla chilies, you can easily buy them online, and you may find them locally in gourmet specialty shops and some high-end supermarkets. You can also pick up chilaca pepper seeds if you’re looking to take a stab at growing these hard-to-find fresh chilies. There’s surprising flavor in chilaca peppers, so while these chilies will be hard to find fresh, the flavor is unique enough to make the challenge well worth it. In the mean time, exploring pasilla peppers is an excellent alternative. The chilaca’s dried form is a staple in Mexican cooking, and a simple (and delicious) way to spice up many other dishes too. Pasilla Pepper: Mexico's "Little Raisin"